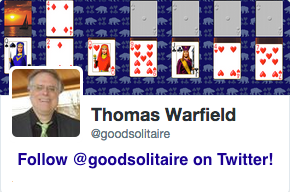 Screen shot of the game FreeCell from Pretty Good Solitaire. In Selective FreeCell, the game is dealt out as in regular FreeCell. 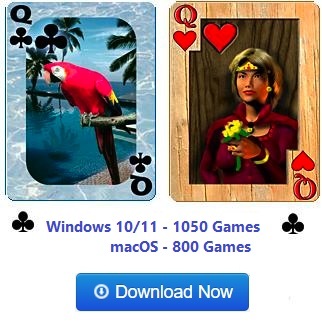 The only differences between Selective FreeCell and regular FreeCell is that at the beginning of the game you have the option to choose the foundation base card (it can be something other than an Ace). You then build the foundations up in suit from that base card, wrapping from King to Ace as necessary. In the tableau piles you can also play Kings on Aces. 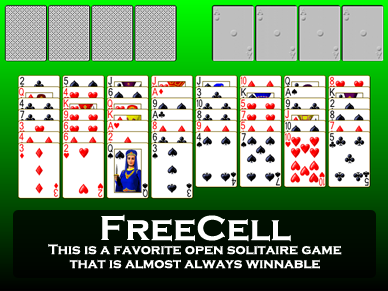 Selective FreeCell adds complications to the regular FreeCell. It also add new choices for the player for strategy. As posted in our forum, this may make some of the rare deals that are unsolvable in regular FreeCell solvable in Selective FreeCell.